Clients come to the retirement planning process with many misconceptions about Social Security. With inaccurate information circulating on social media and by word of mouth, financial advisors shoulder a lot of responsibility to educate clients in this area, helping them achieve a better understanding of Social Security benefits and how they can fit into a broader retirement plan. Let’s consider some of the most common misconceptions about Social Security. Misconception #1: Your Social Security taxes go into a special account with your name on it, and when you retire you receive this money back with interest. Social Security is unlike other retirement accounts or retirement plans. The government does not put your Social Security taxes into a special account just for you. Rather, the taxes a worker pays into Social Security are used to provide benefits to current retirees. When current workers retire, their benefits are paid from the contributions of younger workers. Misconception #2: Younger workers will not receive Social Security benefits because Social Security will run out of money. Many younger workers assume they will receive no benefits from Social Security. A recent survey revealed that 68% of future retirees are worried that Social Security will run out of funding during their lifetime. Projections do show that, without legislative action, the Social Security trust fund reserves will be depleted by 2033 or 2034. However, workers will still be paying into Social Security, and those funds will provide benefits to retirees, albeit at lower levels. Even if nothing changes, future retirees can expect to receive some benefits—although they may be reduced to 73–79% of the expected amount. Misconception #3: You cannot receive Social Security benefits if you have never worked. Married or divorced spouses may receive up to 50% of their current or former spouse’s benefits even if they have never contributed to Social Security themselves. To qualify, a spouse needs to be at least 62 years old, or any age if caring for a child who is younger than age 16 or disabled and is entitled to receive benefits. If you are divorced, you need to have been married for at least ten years. Misconception #4: Continuing to work while receiving Social Security benefits has no impact on the amount of the benefits. 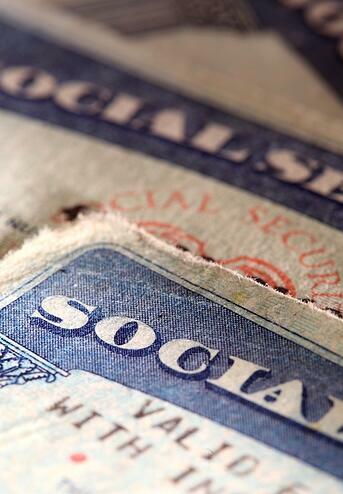 Continuing to work while receiving Social Security benefits may lower the amount you receive. If you are younger than full retirement age and earn more than the yearly earnings limit, your benefit will be reduced. However, beginning in the month when you reach full retirement age, you can receive benefits with no limits on earnings. Note that continuing to work and pay Social Security taxes may result in an adjustment to your benefits since you are still making contributions into the system. Misconception #5: You don’t pay taxes on Social Security benefits. Unfortunately, many people do pay taxes on their Social Security benefits. Depending on your income in retirement and the type of tax return you file, up to 85% of your benefit income could be taxable. Misconception #6: Your Social Security claiming decision is irrevocable. If you file for Social Security benefits, you have up to 12 months to withdraw your claim and re-file at a later date. Withdrawing your claim requires repaying all of the benefits you’ve received, including any benefits a spouse or child may have received from your application. Advisors play a key role in educating their clients about Social Security. Dispelling the misconceptions can help your clients make informed decisions and have realistic expectations about their Social Security benefits. The Retirement Analysis Kit (TRAK) retirement planning software has a Strategic Social Security calculator that can generate Social Security scenarios for your clients. The Gap Analysis calculator make it easy to include these and other scenarios as part of a full retirement plan. Give TRAK a try today!